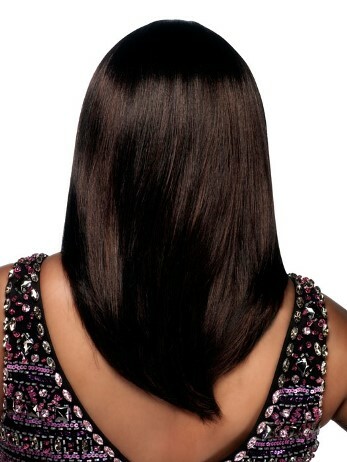 Charli is a face framing wig style with 18" silky straight layers, end curves, a short bang, and a natural looking center skin part. 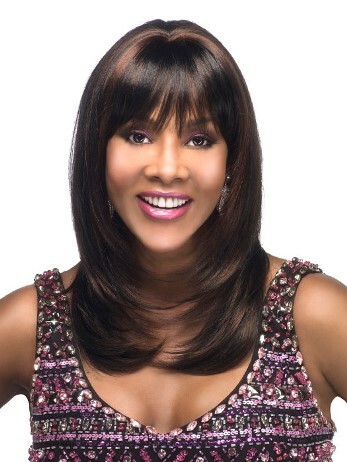 This synthetic wig is part of Vivica Fox's Pure Stretch Cap Collection. Front: 4" Crown: 13" Nape: 12"